Please click here to read our latest blog – 10 Questions to Ask When Choosing a Doctor to Perform Your Breast Augmentation. While the sound of a cheap surgical makeover abroad before relaxing pool-side to recover may sound appealing, the real costs to your purse and health may be much higher than you anticipated. These days the risk is not only overseas but also here in Australia. There have been a number of news topics in the media lately, with cosmetic clinics in Australia offering low-cost breast augmentations. In the past 18 months, it has been reported that these clinics have allegedly had 4 different patients suffer cardiac arrests while undergoing breast augmentation surgery due to a toxic overdose of local anaesthetic. It is imperative that whilst undergoing this kind of procedure, that a dedicated Anaesthetist is available throughout the sedation period, to ensure your Absolute safety. For more information on what to consider when having breast surgery, ensure you stay home and stay safe in Perth, by reading our blog here. All surgery carries risk no matter where it is performed, but those risks are increased in countries where medical and health regulations are not as stringent as in Australia. Increased chances of infection in tropical environments, implants and products that haven’t gone through the same rigorous approval process as Australia’s Therapeutic Goods Association (TGA) and the risk of post-operative deep vein thrombosis on the flight home can all be potentially life-threatening. Follow up revisions and corrections can also add significant costs, as would return overseas travel to see your surgeon. Despite regular warnings from medical professionals and other organisations, Australians continue to risk their health with travel overseas for ‘cheap’ cosmetic surgery holidays. Absolute has seen an increasing number of people arrive back in WA with complications from their overseas surgery. Practice principal Dr Glenn Murray has repaired many failed cosmetic procedures and defective surgery cases. Read some first-hand accounts of the dangers of travelling overseas for cosmetic surgery. The patient you can see in the photograph to the left had a horrific experience having her breast implants performed overseas and later came to Absolute Cosmetic Medicine for repair work. In addition to the poor surgery you can see, this woman who was only booked in for breast augmentation also received extra botched surgery she didn’t ask for – an uneven breast lift with further scarring. This photographed breast became infected and as such became swollen to almost twice the size of the other breast and oozed brown pus. The surgeons sent her home anyway with only oral antibiotics and told her to see her GP who was shocked. This took six months to heal with our care and occasionally a black, inferior suture will still pop through the skin in a ball of pus. The result overall was terrible and one breast is square. This was not optimum care and she needed to be looked closely by a doctor that is nearby to where her surgery is so that she didn’t need to travel. This woman should not have flown in her condition and there was no care or accountability shown when she was told to refer to her GP for recovery. This case illustrates the fact that problems can take months to heal and most patients cannot stay overseas for months or afford the care as there is no medicare overseas to pay for corrective medical treatment or care. I noticed you have some stories on the dangers of having overseas surgery and I would like to share my very unfortunate story, to warn others of just how dangerous it is. Right from the start, I had a very bad feeling and everything went wrong. My only consultation with a very young surgeon was on the morning of my operation and lasted 10 minutes. It was documented that he was to perform septoplasty (a procedure to straighten the nasal septum) and if necessary, rhinoplasty, should he need to change the shape of my nose due to the internal work. The surgery took an incredible 5 hours and I bled profusely (a few months later I was diagnosed with Von Willebrand’s – a blood clotting disorder). The surgeon informed me there was so much blood during the procedure and that is why it took so long. My face looked absolutely horrific. My eyes were red raw and hugely swollen with just slits for me to see. My actual face and nose, so swollen I couldn’t eat or talk properly. I have pictures of this time and can’t believe it is me. Fast forward a few weeks, after my return home, I became very, very ill with an unexplained infection in my nose. 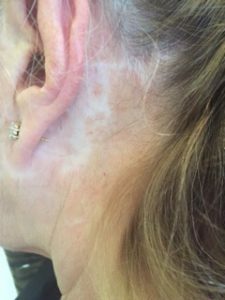 This infection remained for six months and I was on the strongest medication my body could handle, plus under the care of a top ENT Specialist in Perth. Long story short, something had been left in my nose (foreign object) which had become infected and made me constantly ill. After six months (and under the care of a microbiologist in Perth who gave me a staggering amount of toxic medication to kill the bug) this object fell out of my nose and the infection cleared up. However, the problems with my nose became worse. Whereas before the operation I could breathe a little, afterwards, there was no airflow out of my right nostril whatsoever and my nose had collapsed inside. Unbelievably, the hospital admitted in writing that they had only performed rhinoplasty and didn’t touch my septum, which was the reason I was having surgery in the first place! Overseas botched neck lift. Disfigured and it didn’t work. People shouldn’t be wooed by the glossy brochures and cheap medical ‘holiday’ because of the very real threat of dying in these third world countries. Just last week, I underwent the second operation on my nose, through my wonderful ENT surgeon in Perth. He said my nose was quite a mess inside, my septum crooked and bones sticking out where they shouldn’t be. I am so happy now because I can breathe and also put all of this behind me. If this account helps just one person not pursue overseas surgery then I am happy and my journey was for a reason. Find out more about why you should avoid cheap cosmetic surgery holidays or get a second opinion on your planned procedure. Book a consultation or contact us for more information.